The Station Master is the Incharge of Railway Station. The Main Focus of Station master duties would on personnel management and public relations.The station master is responsible for the management of other station employees and holds responsibility for safety and the efficient running of the station. The Station master was deputised (in his absence) by an Assistant Station Master (ASM). Now a Day in Indian society station master enjoyed a High social standing. Indian Railways staffs who have attained the grade of assistant station master (ASM), or station master (including regional station managers), have their own professional body or trade union, the All India Station Masters' Association. 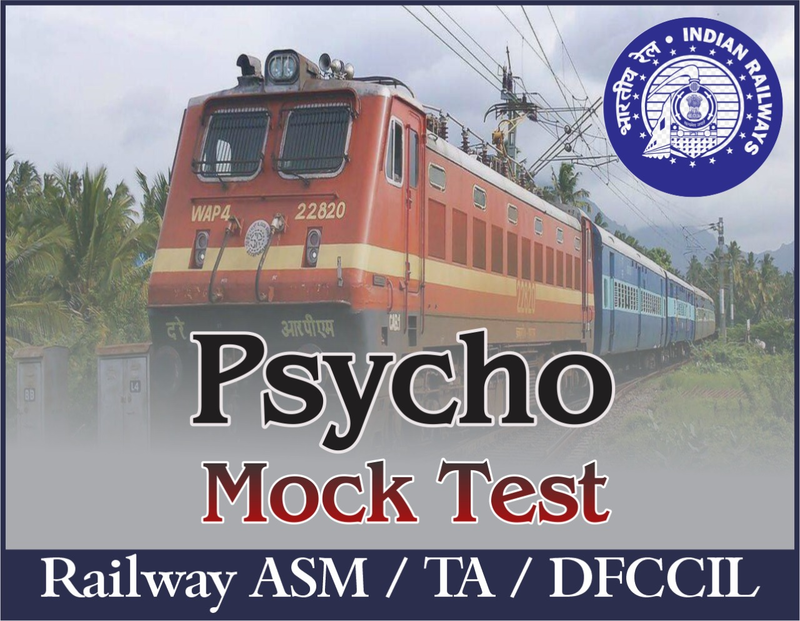 As per new Syllabus and new Exam Pattern of NTPC ASM Psycho Test. Covered under mention Topics/ Sections in this package. 165 Questions in each test. Solutions not available only Right Answer Available.